So, you have visited enough of historical and cultural monuments during your summer trip to Iran? Have you spent plenty of time in Iran’s cities, meeting people, walking in the streets and specially experiencing Iran’s hot sunlight? There are some more adventurous activities that can be done in Iran, especially during summer! Iran is a mountainous country with peaks more than 5000 m height. Damavand, on the north of Tehran, with 5671 m height is the first one. After that, come other peaks like Alamkooh with 4848 m height, Hezar, 4465 m height, Zagros with 4421 m height and many more peaks spread all over Iran in different provinces. 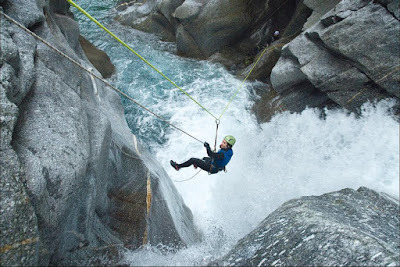 All you have to do is wearing a life jacket and a wet suit and jumping into the rafting water below, feeling an astonishing excitement in the roaring water, while you have to control your body not to hit the parapets by using technical ropes. 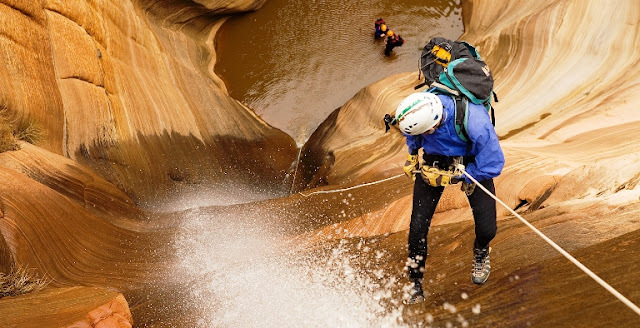 Sometimes you may have to stop on a rock for recognizing the right direction or cautiously landing a waterfall using ropes and considering leader’s guidance, and then continuing the way through the canyon. Wow! Such a cool, fresh water is all needed in this time of the year. You can carefully entrust yourself to the nature and enjoy its positive excitement. Canyoning usually starts in the morning and finishes in the afternoon when you have passed all the rafting waterfalls and rivers calm. Canyoning can be remembered as the most adventurous activity during your travel to Iran. Eshkevar Canyon in Ramsar in the north of Iran and Reghez canyon in Fars Province are two of most technical and adventurous canyons in Iran. 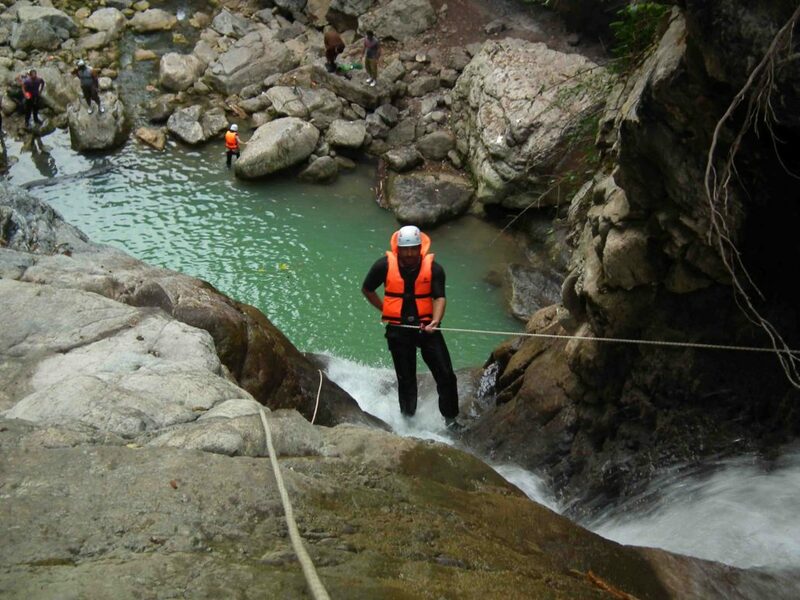 Uppersia travel would be happy to arrange a canyoning tour for you this summer. You must have a normal health and basic fitness for this activity. All the group members must be equipped with, life jacket suitable shoes and technical ropes. You have to consider the leader’s guidance. You have to enjoy it!